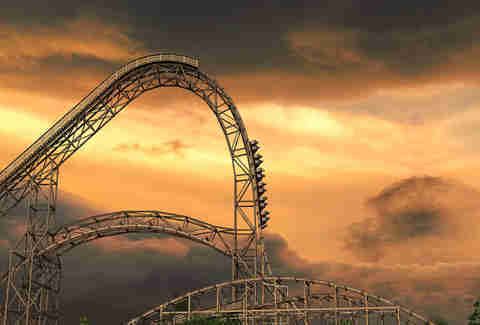 Empty your bladder, hold off on lunch, and brace yourself for the most intense roller coaster imaginable. 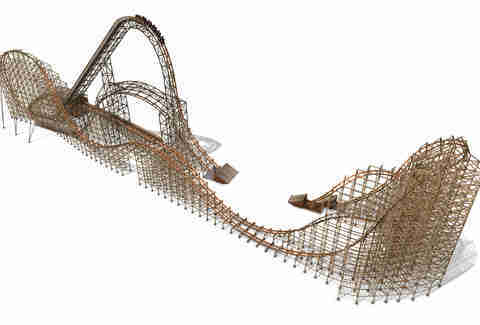 Goliath -- a beastly new ride that opened yesterday at the Six Flags Great America in Gurnee, Illinois -- smashes three world records as the tallest, fastest, and steepest wooden roller coaster on Earth. 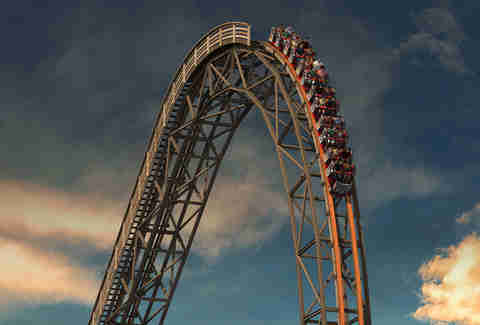 Riders ascend the coaster's 165ft structure, before hurtling down a staggering 180ft at an 85-degree -- almost vertical -- angle. And the ride doesn't get any tamer after that fall, with unexpected twists, curves, a zero-gravity roll, and two inversions that turn riders totally upside down. All this at a ridiculous speed of 72 mph. 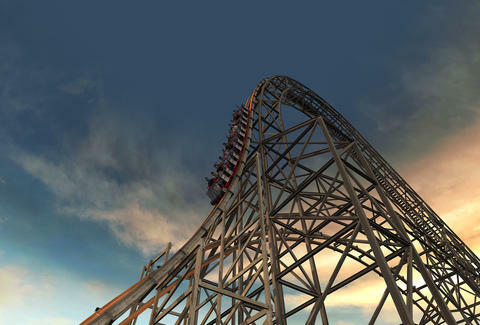 "It was definitely a great adrenaline rush", said Katy Enrique, a spokeswoman for the Six Flags park, who has taken the ride a number of times. "It has a ton of thrills, it's just element after element". 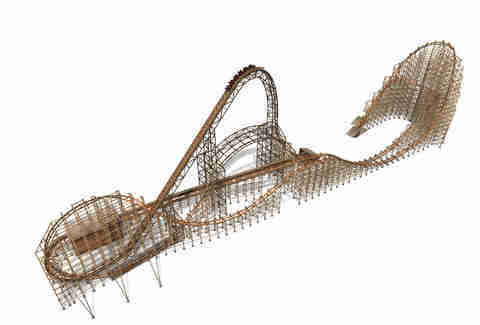 Despite Goliath's magnitude, it's a (somewhat) gentle giant, gliding on a special track infrastructure designed by Rocky Mountain Construction. 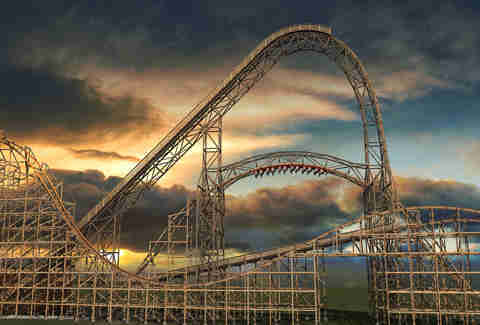 ABC7 Chicago reporter Jessica D'Onofrio, who braved Goliath earlier this week in a press preview, was surprised by the coaster's flow, calling it the "smoothest ride of any coaster I have been on". 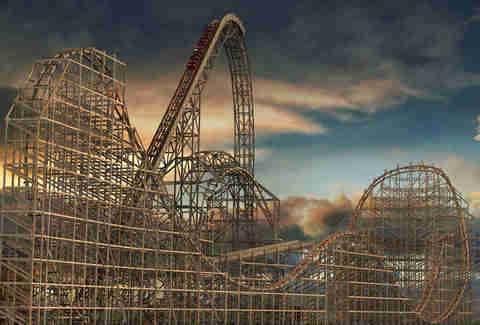 Originally planned to debut in late May, the ride experienced setbacks prior to its unveiling. But something tells us it was was worth the wait. 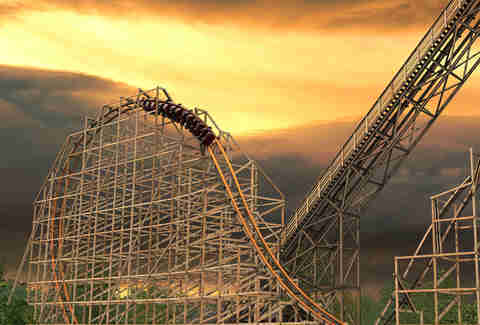 Check out video of the beast below -- replete with an ominous soundtrack interrupted by riders' screams -- and pictures for a closer look at Goliath. Intrepid thrill-seekers can book tickets (starting at $45.99 online) here. Chloe Pantazi is an editorial assistant on Thrillist's travel team. On any and all visits to theme parks, she designates herself as the person to watch everyone’s stuff. Follow her survival on Twitter at @ChloePantazi.